The Hum device must be set up to share with an eligible mobile number. For additional assistance refer to Manage NumberShare Devices - My Verizon Website. 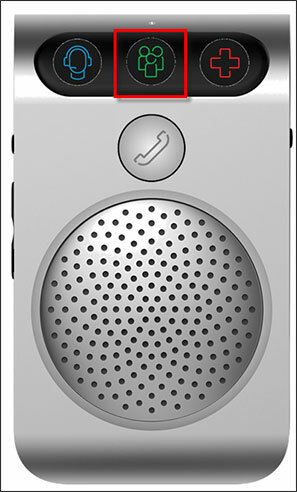 NumberShare allows both the Hum speaker and smartphone to ring when someone calls. The call can be answered from either device. The smartphone does not need to be in the vehicle for NumberShare to work but the phone must be able to receive calls (e.g., phone can't be suspended, vehicle must be in a 4G coverage area). Up to 3 numbers can be saved in the Hum mobile app to allow the Hum speaker to make outbound calls no matter where the phone is. From the Hum speaker, tap the NumberShare icon. The Hum speaker says the first contact listed. 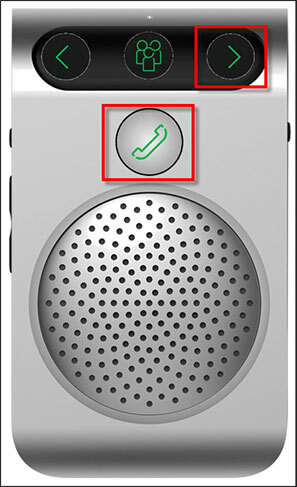 To call the first contact, press the Call button (green phone). To call a different contact, tap the left or right arrow to hear more names. When the preferred name is announced, press the Call button.